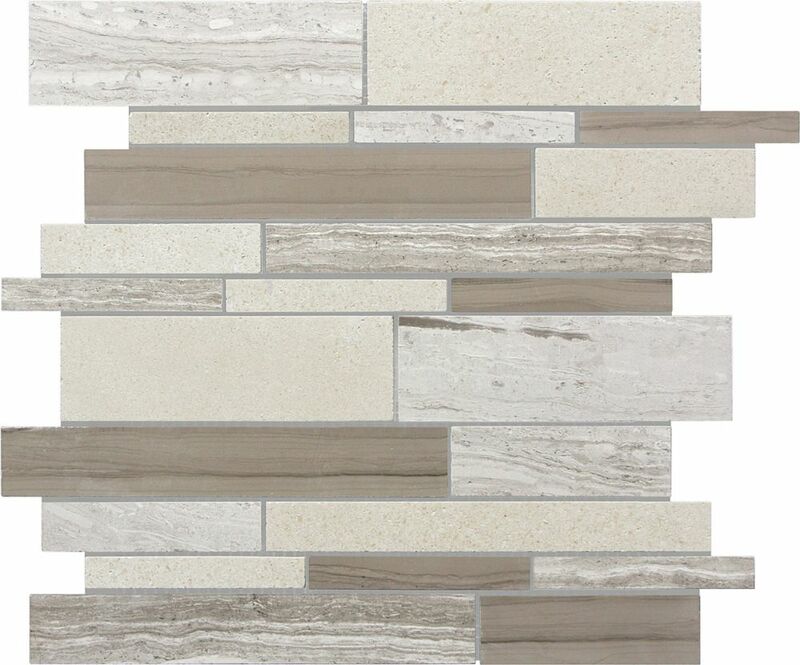 Boutique selection of marble strip mosaics with contemporary, cool tones for trendy settings. Enhance any wall and floor installation with these decorative mesh-mounted mosaics with the inherent natural shading of these classic stones. With MSI Stone ULC Keshi Blend 12 in. x 12 in. Glass and Metal Mosaic Wall Tile, it's easy to add a splash of contemporary styling to your decor. This attractive tile features an arrangement of 5/8 in. x 1 in. tile strips of crystallized and shell glass with metal in a brick pattern on a 12 in. x 12 in. mesh sheet that makes installation a much easier process. With elegant white tones, this tile creates a distinct pattern. Ideal for use on interior and exterior walls, the mosaic has infinite applications to complement a variety of installs. Polished Random Strip Mosaic Blend Tile in Urban Boutique selection of marble strip mosaics with contemporary, cool tones for trendy settings.